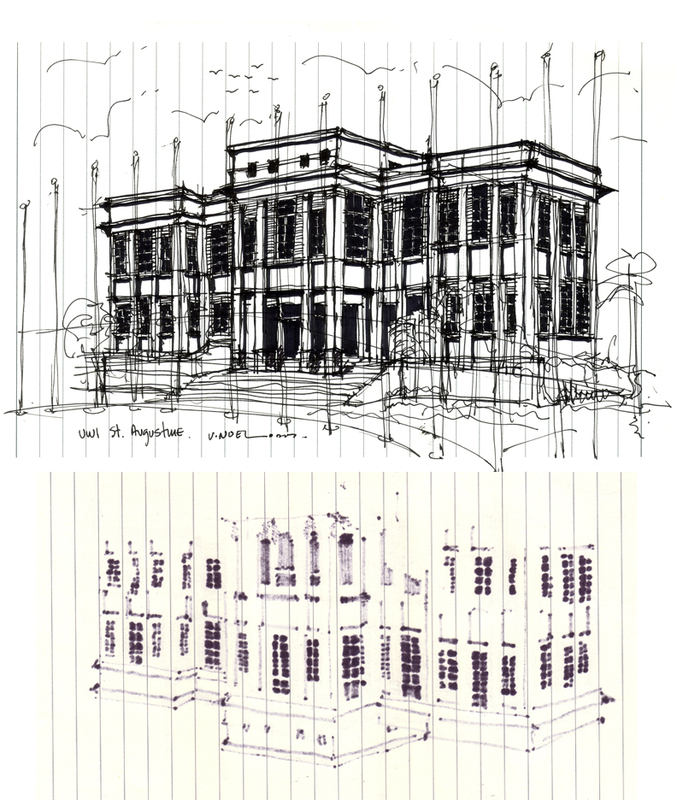 This is a negative of a sketch I did of the Administrative Building at the University of the West Indies in St. Augustine, Trinidad. Here is the original sketch >>>. 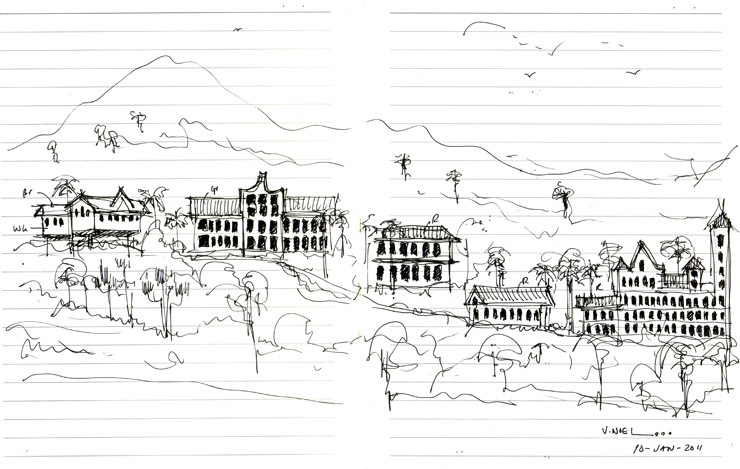 This is a sketch of Mount St. Benedict, Trinidad north of the UWI St. Augustine Campus that I did earlier this year. 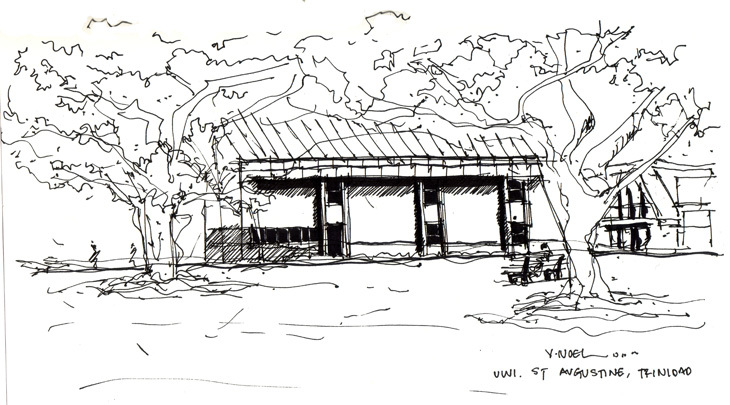 The building stands out against the lush, green hillsides overlooking the central plains of Trinidad. This Benedictine Monastic community is the largest and oldest in the Caribbean. It was established in 1912 by monks fleeing Brazil’s attempt to take over their land. The Abbey of Mount St. Benedict, established in 1912, is a functioning monastery in a spectacular location in the mountains of the Northern Range. From below one sees, 800 feet up the mountainside, an informal grouping of buildings with beige walls and red tile roofs dominated by a tall campanile. The monastery began as a place of refuge for monks escaping civil unrest in Brazil, its first building a simple mud and grass ajoupa. The community is now a sizable complex, designed and constructed by Brother Gabriel Mokveld, primarily between 1938 and 1956. It includes a farm, an apiary, a school, and a rehabilitation center. Crain, Edward E. Historic Architecture in the Caribbean Islands. Gainesville, FL: University Press of Florida, 1994. 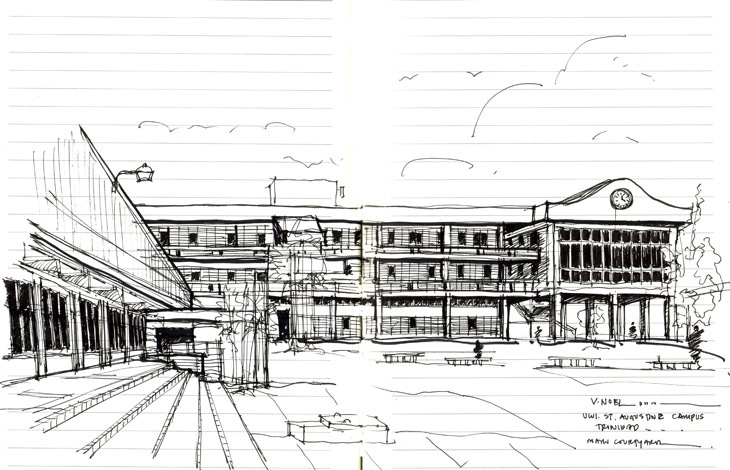 Above is a sketch of the SAC Building at the University of the West Indies in Trinidad. It’s usually a regular “liming” spot, but even more so now with it being exam time and all. UWI’s Campus has buildings of many different periods. This one is pretty modern. 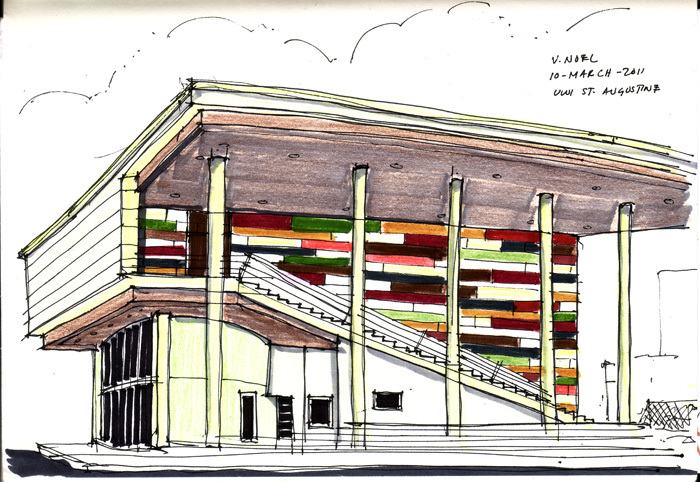 I like the roof…it’s very tropical, and the use of louvres, open space, etc. Cross winds and ventilation makes it comfortable in our humid climate. The interior needs some work however…one thing that irritates me about the space is its lack of electrical outlets. There are tens and hundreds of students there and the number of outlets to accommodate them is FAR too few. Great people talk about ideas, Average people talk about things, and Small people talk about other people. 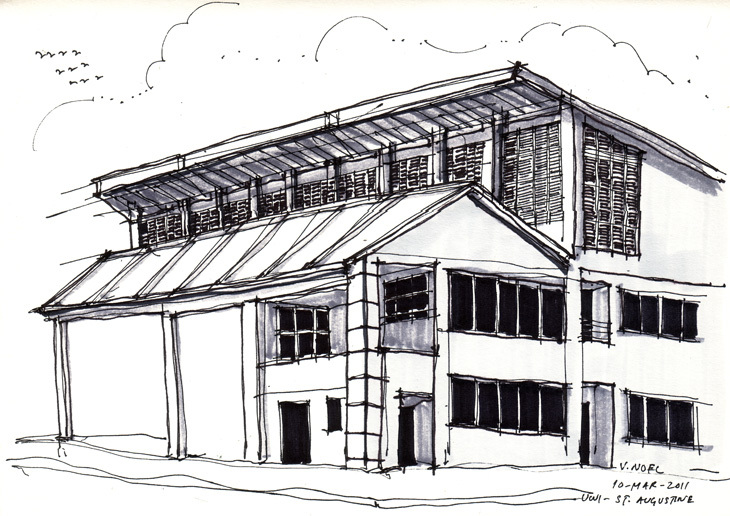 Above is a sketch I did of the Learning Resource Center at the University of the West Indies in St. Augustine, Trinidad. The Campus has a distinctive and rich landscape of lawns with magnificent groups of mature indigenous trees and shrubs. They are majestic and beautiful, and provides ample shade from the hot Caribbean sun while beckoning the cool Caribbean breeze. Have a productive and happy Thursday everyone! 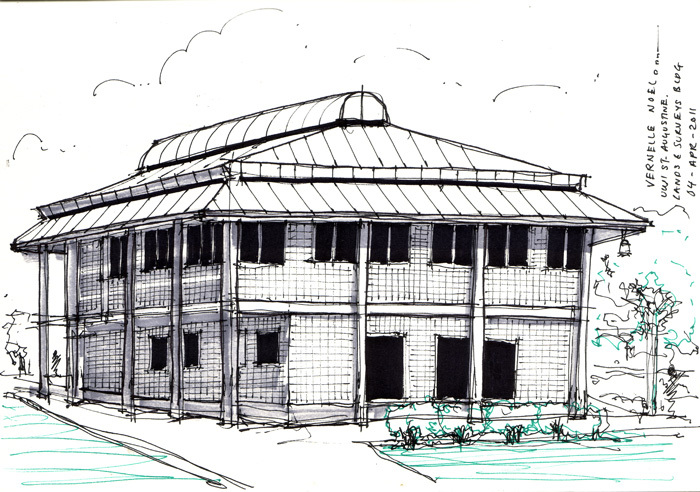 This is a sketch of Daaga Hall in UWI, Trinidad & Tobago. 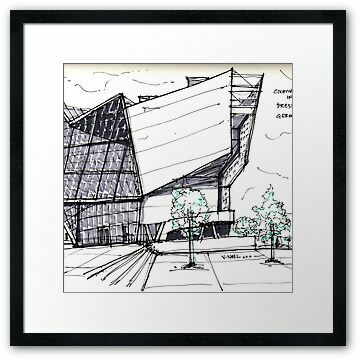 It is a very contemporary looking building with a captivating facade. The broad, gentle staircase serves as circulation and comfortable sitting. The deep overhang provides shade to relax. 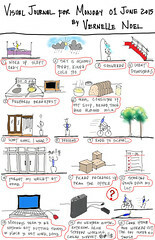 Below is a little history of Daaga Hall. 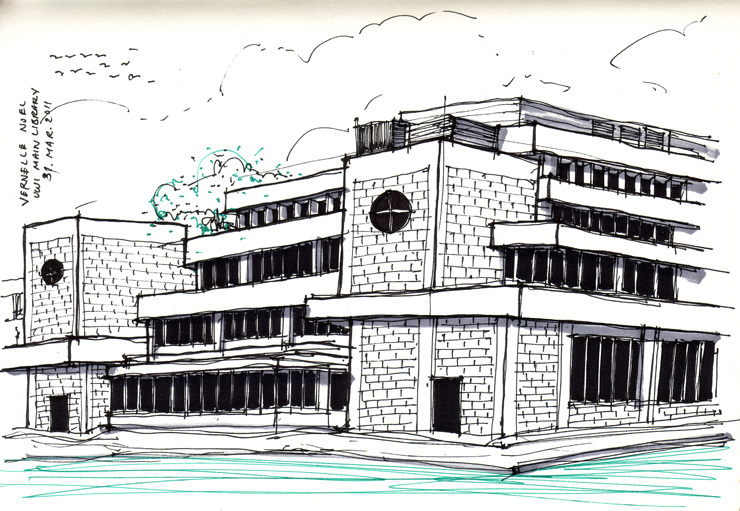 “On its site, in 1927, the ICTA Dining Hall was opened, a two-storey building with dining facilities and kitchens downstairs, club and recreation rooms upstairs. 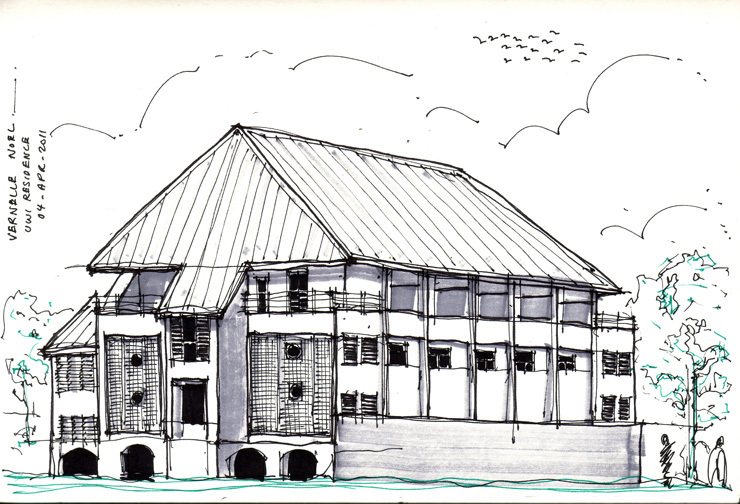 When St Augustine became a UWI campus, this structure became the Guild Hall, the centre of student activities. In the period of student activism of 1969-70, it was renamed Daaga Hall after an African ex-slave soldier who led a mutiny at St Joseph in 1837. The building was destroyed by fire in 1980, and the present Auditorium stands on the same site.” Bridget Brereton, Professor of History taken from http://gerardbest.wordpress.com. This is a sketch I did of the Admin. Building at the University of the West Indies in St. Augustine, Trinidad. There is no body of water in front of the building creating a reflection as indicated above. The reflection shown is actually the back of the page on which I drew the sketch. I scanned it, and composed them to appear as a reflection. 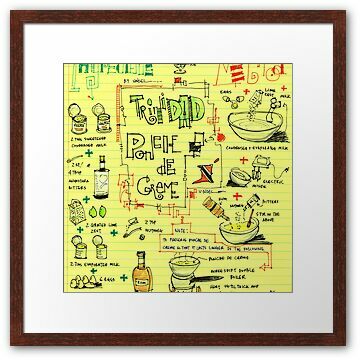 If you have any ideas for tomorrow’s Visual Recipe, just let me know.